With the recent election in Ontario, there may be significant cuts to school budgets. Programs related to arts and music are usually cut first. While the millennial generation grew up with a well-rounded education including art class and music, today’s youths are often left with fewer options. If they want to pursue artistic vocations, they have to attend a private school. Access to arts programming in a country as wealthy and developed as Canada, should be a right, rather than a privilege. Fortunately, even if the music program at your child’s school is cut, renting an instrument at Long & McQuade and helping your child’s music hobby along is quite affordable. Music schools like Long & McQuade also organize group recitals. They can prepare students for the entrance exam for the Royal Conservatory. 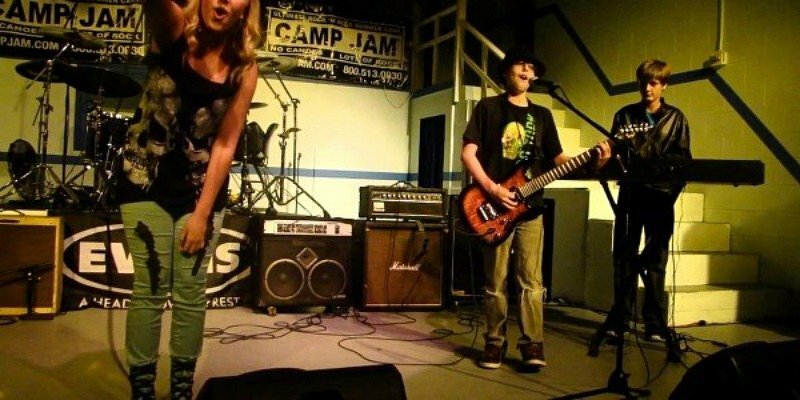 Not all kids have the desire or the motivation to pursue music as a hobby or a career. If they do, it’s important to provide them with the resources and the space they need to pursue this. Don’t insinuate yourself into the process too much. Even if you’re super proud of the antique piano in your living room, your teenage son might not be super stoked to perform audibly for the rest of the house. If you invest in a keyboard, your child can practice with headphones in their own bedroom. Thanks to advancements in digital technology, they can connect the instrument to their computer via MIDI. Then they can start making their own rock songs before they even graduate high school: more Rolling Stones than Sergei Rachmaninoff. If your kids form a band together or with their friends, try not to be too put off by the sounds coming from the basement; even U2 had to start somewhere. Besides, with high stress, obsessive social-media posting E-cigs plaguing teen culture, a little bit of rock and roll is totally harmless by comparison. Another great idea is to buy your teenager tickets to see a band they really love. Seeing a live band can be inspiring and motivating for an impressionable young musician. Fortunately, we live in a time when technology has advanced to the point where entry-level instruments are not insanely expensive. You can get a Squire guitar or bass for a couple hundred bucks. An instrument like drums is loud! You can buy them an electronic kit for a few hundred dollars. It’ll save your ears! If that’s not in your budget, music stores often have “lease to buy” deals on instruments. If your kid decides they don’t have time to become the next Miles Davis, you can always return the trumpet.